I have to admit I was not particularly looking forward to spending a week with a new Mitsubishi. When the new Outlander Sport 2.4 liter GT showed up in my driveway I wondered if I would spend all that much time behind the wheel. As it turns out, I did drive it a lot and was much more pleased with it’s performance, roominess, and features than I had thought. The last Mitsubishi I drove was a Mirage, and it must have been a couple years ago. I was actually afraid to take it onto a freeway because it was so light, every time a semi or even a large “regular” truck would pass it felt as if I was about to be blown off the road or into another vehicle. Not so with the reasonably priced 2017 Mitsubishi Outlander Sport ($26,845 as equipped). My model was obviously fully decked out since the beginning price of the Outlander Sport is only $19,795. That will get you a 2 liter manual transmission model. The list of features on my model was substantial for the price. Those I found most useful included auto on/off headlights, fog lights (yes, we had a lot of fog in the DFW area the mornings of my week with the Outlander), heated side mirrors (yes, there was even frost a couple of mornings), and rain sensing wipers. High contrast gauges inside were a welcome sight in that I often drive vehicles having instrument clusters which simply can’t handle the glare from outside. Although there were few “bright, sunny days” during my week, the mid-day forays out for lunch did provide me an opportunity to actually see how fast I was going and how much fuel remained in the tank without eye strain. I felt comfortable in the leather seats – a feature one does not always find in a “value-priced” vehicle. In fact, I remember when I moved to Dallas from New York City back in 1981 and looked for a vehicle with leather seats every car salesman told me I wouldn’t want them because of the Texas summer heat. With Texas the home of so many Longhorns, I found it odd that someone decided we wouldn’t like to be surrounded by leather. Obviously, they were wrong. I guess, manufacturers have come to realize that Texans do want leather someplace other than on their boots! 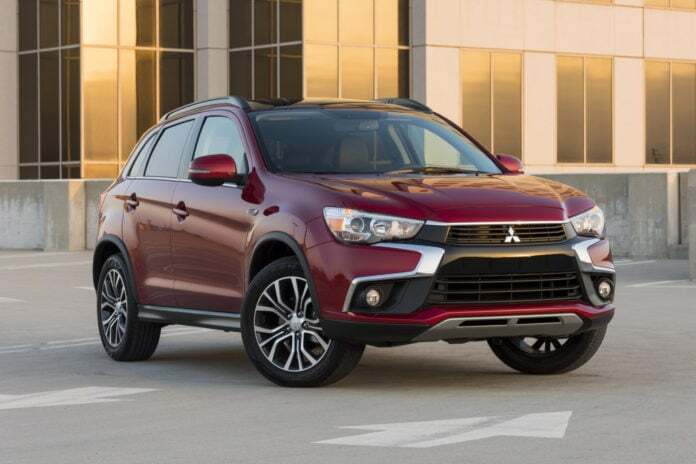 The base model Mitsubishi Outlander Sport is the 2.0 liter ES model with two wheel drive. There are six additional models to choose from up to an all wheel drive 2.4 liter GT. Other than on the base model, a continuously variable transmission is standard on all Sports (it’s an option on the base). Paddle shifters are standard on the top SEL and GT models. Mitsubishi manufactures a lot of newspaper equipment and supplies and such materials that I have used within Focus Daily News are top-shelf. I found the Mitsubishi Outlander Sport far superior to the Mirage I drove years ago. The beauty is in the beholder and a lot of people must see the beauty since I noticed far more Mitsubishi’s on the road during my week with the Sport. Who knew what I’ve been missing!